HRC released the following statement celebrating Lori Lightfoot’s election victory in the race for mayor of Chicago. 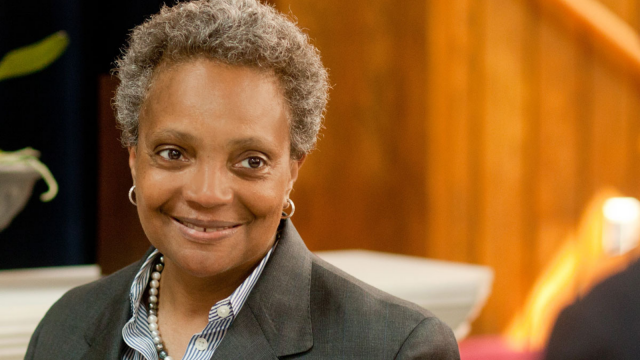 Lightfoot will now make history as the city’s first openly LGBTQ and Black female mayor. As mayor, Lori Lightfoot has pledged to safeguard the civil rights of the LGBTQ community. In Lori’s LGBTQ policy framework, she outlines increasing LGBTQ representation in government by appointing mayoral LGBTQ liaisons, bolstering safety and justice for the trans community by improving police training and thoroughly investigating hate crimes, and addressing the needs of Chicago’s LGBTQ community by creating youth drop-in centers and expanding housing options for seniors and veterans.